Why then do you receive an ‘Apparent Failure To Vote‘ notice in the mail attempting to fine you for not voting… is that a right or an obligation? You might say we have the right to question government… this article challenges that idea. Firstly let’s identify which government. Chances are the one you interact with is the impostor; the Australian Government. No longer is the relationship – ‘the people to the people’s representatives’ in the way we expect government to function, rather we have a corporation masquerading as government. If we presume that company has an obligation to answer to hierarchy, who then is the hierarchy – the people or shareholders? Identification is key. Do you gloss over the term person as if you are a person? 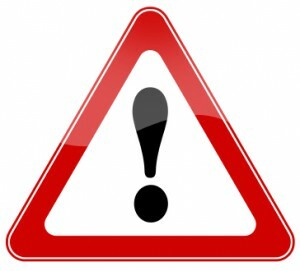 Do quotes from bibles ring alarm bells… try this one: “For there is no respect of persons with God” – Romans Chapter 2 Verse 11. 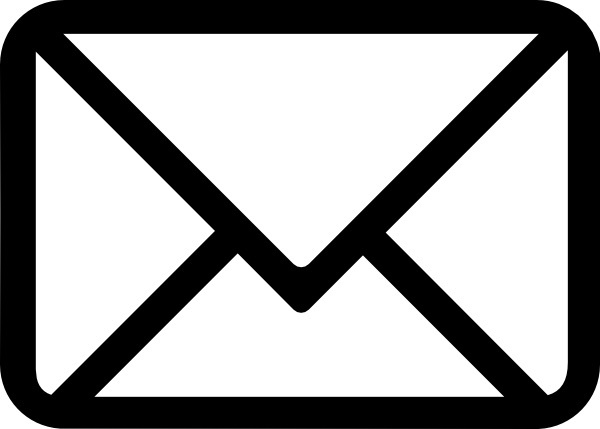 Readers of this website downloaded a simple letter and sent it to Australian Customs and Border Protection Service, trading as AUSTRALIAN CUSTOMS AND BORDER PROTECTION SERVICE, having Australian Business Number 66 015 286 036 and Dun & Bradstreet DUNs number 750104994. 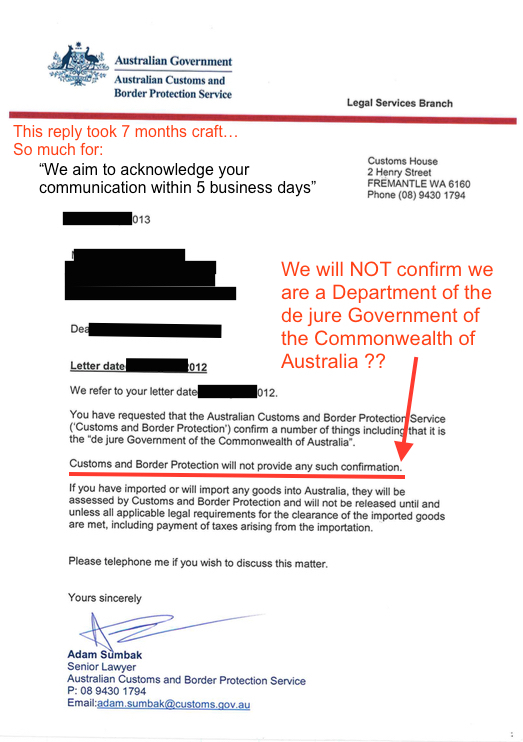 One request within the letter was that “Customs” demonstrate it was a Department of the de jure Government of the Commonwealth of Australia..? – the one referenced within the original Commonwealth of Australia Constitution Act 1900 (UK). 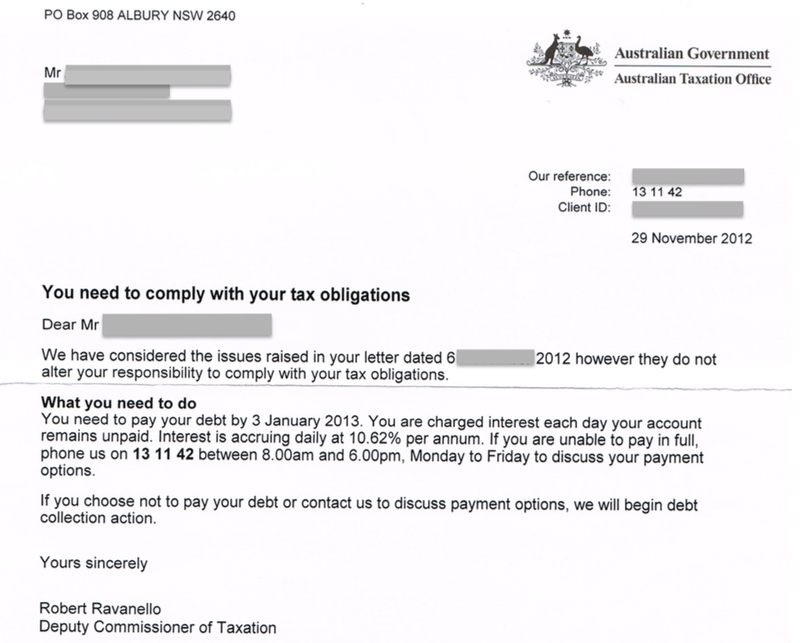 Questions were put to the AUSTRALIAN TAXATION OFFICE, trading as AUSTRALIAN TAXATION OFFICE-SUPERANNUATION GROUP, having Australian Business Number 51 824 753 556 and Dun & Bradstreet DUNs number 755247988. All attempts to seek substantiation of their lawful standing and authority were ignored. How do you read the following sentence? This question was put to the “Governor” in Western Australia in a Notice. Were the Letters Patent constituting the Office of Governor in the State of Western Australia and its Dependencies in the Commonwealth of Australia dated 29 Oct 1900, revoked, altered or amended in accordance with the power and authority reserved by Queen Victoria in 1900? 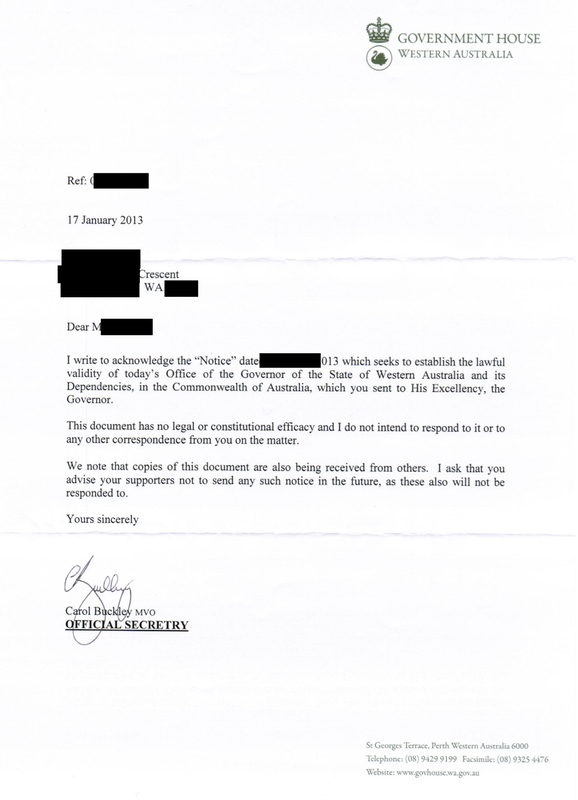 The following response from Carol Buckley, acting as Official Secretary for the Governor of Western Australia, flatly denied request for substantiation of standing and authority… AND denied any future request. Worse, she went on to request that others seeking the same information – presumed to be ‘supporters’ – not send any notices either. 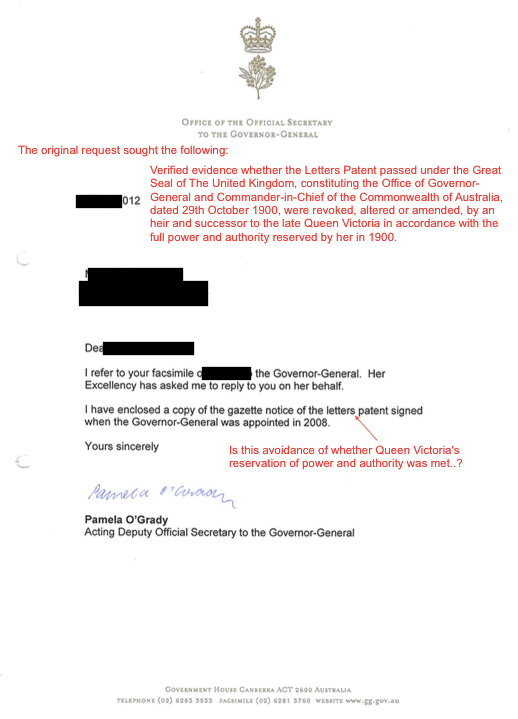 Were the Letters Patent constituting the Office of Governor-General and Commander-in-Chief of the Commonwealth of Australia dated 29 Oct 1900, revoked, altered or amended in accordance with the power and authority reserved by Queen Victoria in 1900? Is that an answer? Are you left to presume for yourself? Would Yes/No have been too much trouble? Has the question been dodged by answering a DIFFERENT question? Would most be satisfied with receiving the document today’s Office of Governor General is reliant upon? See more about the importance of the Office of Governor-General here. Ignoring the law relates applies to persons for the moment… why was it necessary to create a ‘law’ giving one permission to question government? If government is a creation of the people… that is, they act on behalf of the people as administrators, any ‘law’ permitting questioning government illustrates a reversal in hierarchy. The people now require permission from the government instead of the government requiring permission from the people. Follow along with this example at Free Speech Australia to see the lengths a bank went to in avoiding responding to questions on the loan agreement. In each of the four cases above, neither the person nor the living being received an answer. Where does that leave us? My approach after experiencing Frequently Unanswered Questions – and as one reader suggested; you were “FUQed by government” – I began to study the right to question government (and banks) – and what was the origin of these rights.